Jemaine Clement is surely the master of the understated comic gesture, rarely needing a good line because the delivery, and a simple sideways glance of those eyes, is often all it takes to inspire wide grins from any audience. Couple this with his reliably hilarious lines, and he’s one of the most consistently funny people around, particularly given the variety in his work, from the famous Flight of the Conchords through to television like Skitz and Tellylaughs. He’s managed to keep his subtle brand of humour at the top of the ratings, despite the influx of funny rock groups/combos and “ordinary man” style television like The Office, and his New Zealand citizenry seems to have supported him in pretty much being able to pick and choose what he gets to work on. 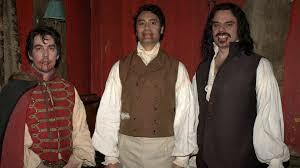 What We Do In The Shadows is a pet project written, produced and directed (and they both star) with fellow comedian Taika Waititi that each were able to slot in ahead of works with greater demand, simply because they really wanted to make the film. they’ve managed to get wide release, after a successful screening in Sundance 2014, and now have a hit film on their hands with a very high critical acceptance. What We Do In The Shadow’s is very funny, if perhaps not quite as good as one expects it to be, it has that all important replay semblance that will undoubtedly give it a kind of cult credibility (if not necessarily status) in the years to come. On first viewing, What We Do In The Shadow’s is a close cut at some of the funniest film sequences you’ll see all year posited against a theme that doesn’t quite work, given the abundance of vampire films and other consumerist paraphernalia that What We Do In The Shadow’s proves is past saturation point. Ancient vampires living in Wellington, though a very funny beer-fueled joke in the pub, isn’t enough to sustain what turns out to be be too much of a choppy plot upon which they can hang the many clever jokes Clement and Waititi have come up with for the film. Scenes are often hit and miss, drag a little too long, and lose momentum without the Conchordian pleasure of the awkward pause. Flight of the Conchords is a great example of a plot that had enough legs to carry the wit and musical talent of Clement and McKenzie, but dorky European vampires struggling to find something to do with their time in a dorky Wellington ends up looking like an unmade bed of a script, lacking the pace and suspense we gain when characters are more interestingly fleshed out, or at the very least, posited against their environment. The Background of Viago (Taika Waititi) Vladislav (Jemaine Clement), Deacon (Jonathan Brugh) and Petyr (Ben Fransham) while related with a great deal of attention never quite sits solid enough for the audience to grow enough affection for their stay in Wellington, which leaves the plotting too scattered, too crowded with “ideas” and too lightly touching on each of those ideas to glue the plot together with enough strength. 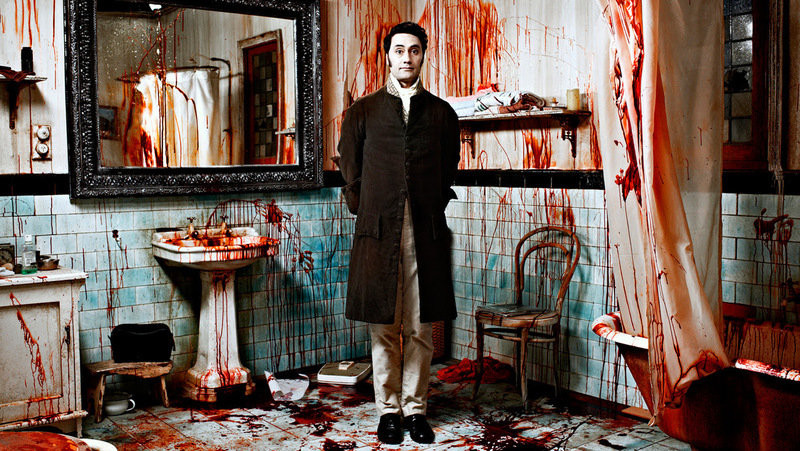 Having said all of that, What we Do in the Shadows does have a power punch repartee of incredibly funny one-liners, brilliantly orchestrated and flawlessly executed, so that the obscurantism of plot moments, tends to fade behind the very clever comic styling of so many hot performers. It’s shot in that, now very tried mockumentary format, but if the subject choice of vampires feels like its too well-worn to be useful, the filming format comes across as fresh coupled with some clever special effects, acting as the perfect platform for the narrative. The “this works/that doesn’t” feel of the film is it’s primary frustration, and it’s in letting that go that the real fun of the film finds access. Wellington looks fabulous, Clement and Waititi choosing to film it sparsely populated, many out doors scenes in dated night clubs, and in the less beautiful parts of town, making for a very funny small town aesthetic in New Zealand’s largest city. With additions like Rhys Darby as Anton, head of the werewolves (We’re werewolves, not swearwolves he admonishes a young-un in his pack) Wellington looks like the folk from the netherworld make up the bulk of the population. 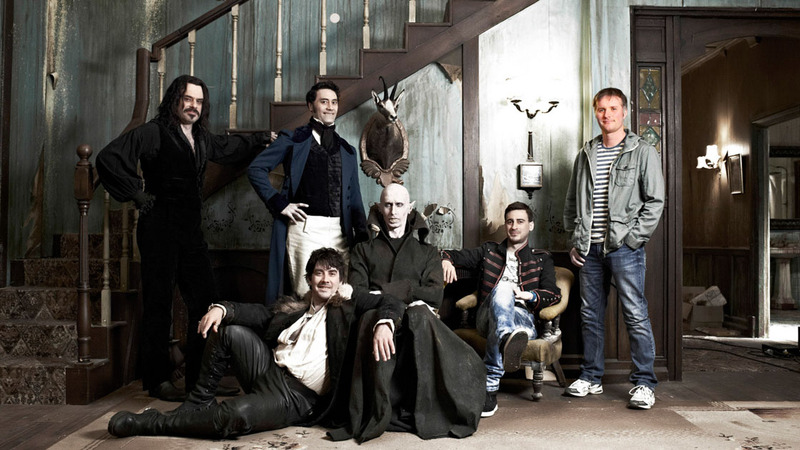 What We Do In The Shadows may be a little rambling at times, and a little frustrating, but on the whole it’s very funny with more than a few real laugh out loud moments. It’s strengths overshadow its flaws and in the end it’s a film that you won’t be disappointed you spent your hard earned dollars on.